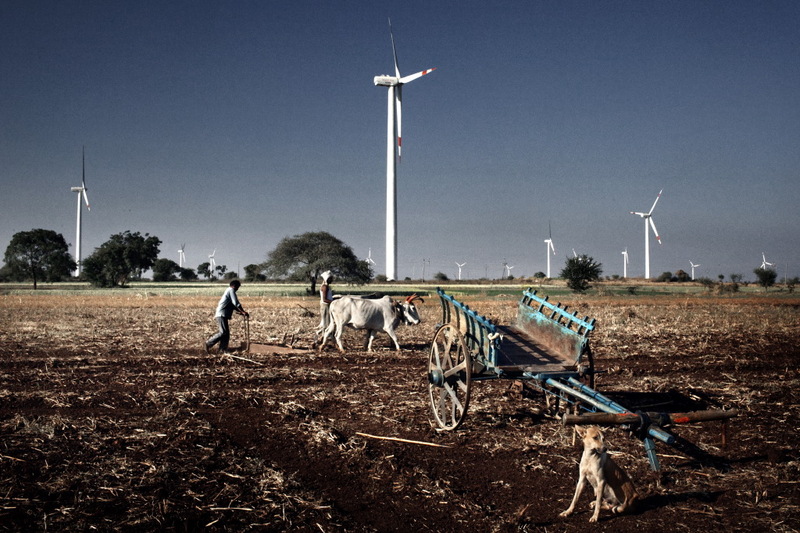 The development of wind power in India began in the 1990s, and has significantly increased in the last few years. India has the fifth largest installed wind power capacity in the world. 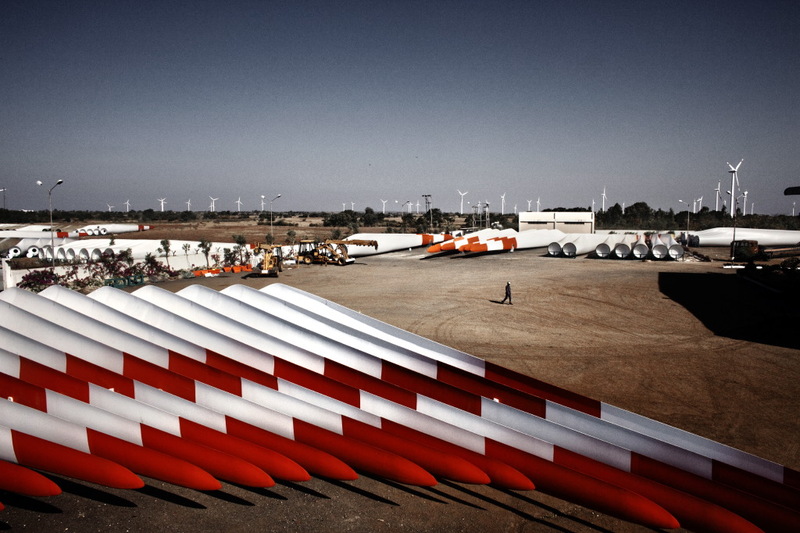 Indian companies are exporting wind turbines and turbine blades to Europe, the US, Australia, China and Brazil. Some of the foreign companies with subsidiaries in India are sourcing more than 80 per cent of their components from Indian manufacturers.Suzlon is a leader in the Indian wind energy stage. This wind farm is located at Dhule in Maharashtra, 200 miles away from Mumbai, and it is the biggest wind farm in Asia. It has an area of 50 km2 with 650 rotor blades. Each rotor blade produces 1.25 MW of electricity per hour, enough to supply 400 houses. 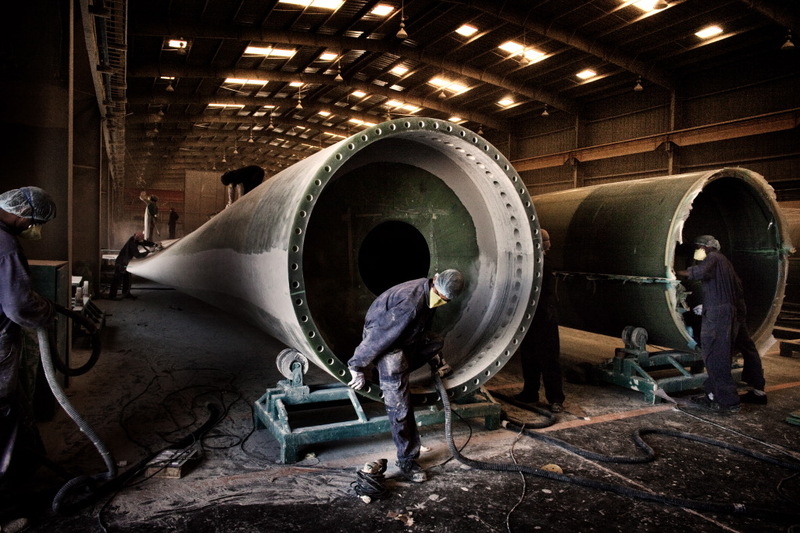 Suzlon’s rotor blade manufacture facility produces 7 rotor blades every day that are exported to Asia. This farm produces sufficient clean electricity to eliminate the production of approximately 70,000 tons of carbon dioxide each year. 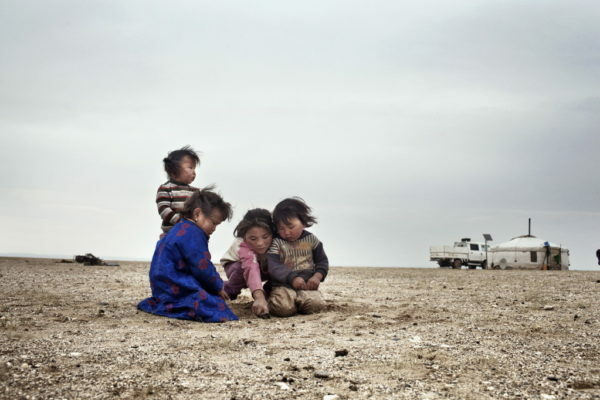 Wind power consumes no fuel and produces no air pollution, unlike fossil fuel power sources. This wind farm has created 800 new work places playing an important role on the life quality of local population. It represents a fundamental opportunity to grant an economic future to young people, when they are normally obliged to migrate toward big cities offering higher job possibilities. The Local daily life is compatible with the wind farm. 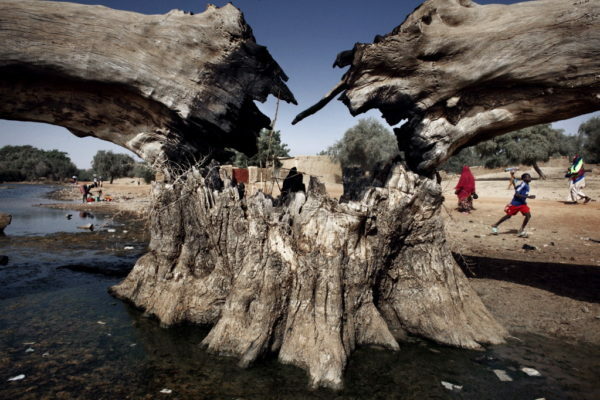 Even if this infrastructure covers a large area of land, many use land for agriculture. 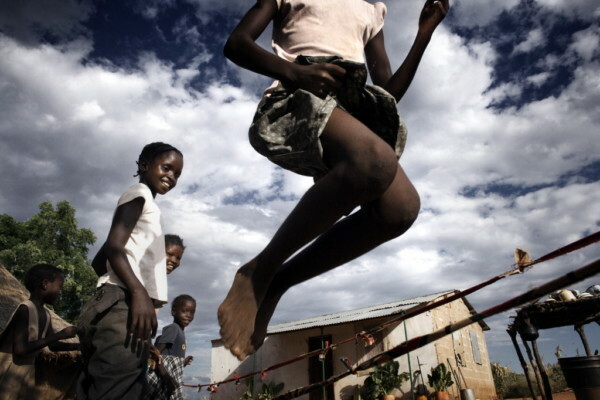 Suzlon is an important example of combination between economic progress and environmental protection; a place where children can live in healthy conditions and at same time a place where to cultivate hope for a better future. 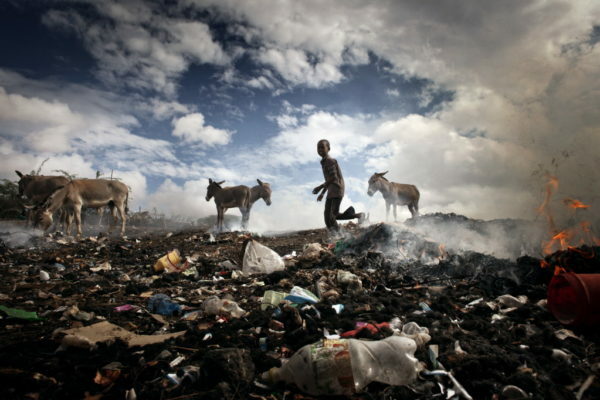 Here children have a place where they can play amongst each other, they can study and feed their dreams and perhaps also choose to stay here all their life; simple things that should be granted to all children worldwide, yet it is not so everywhere, in particular in the most part of India. It is our responsibility to encourage such type of projects giving evidence of the positive results that can be generated and raise awareness on potential means of information we own, to improve present and future human life conditions. (text by Luca Catalano Gonzaga). Wind farm, village of Dhule, Maharashtra District, India. 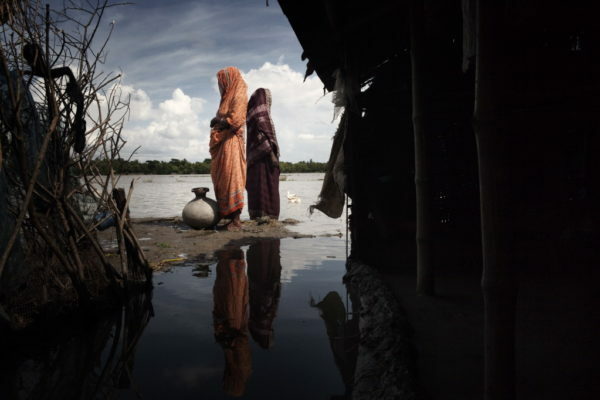 Women, followed by a boy, return to their houses in the village of Dhule. 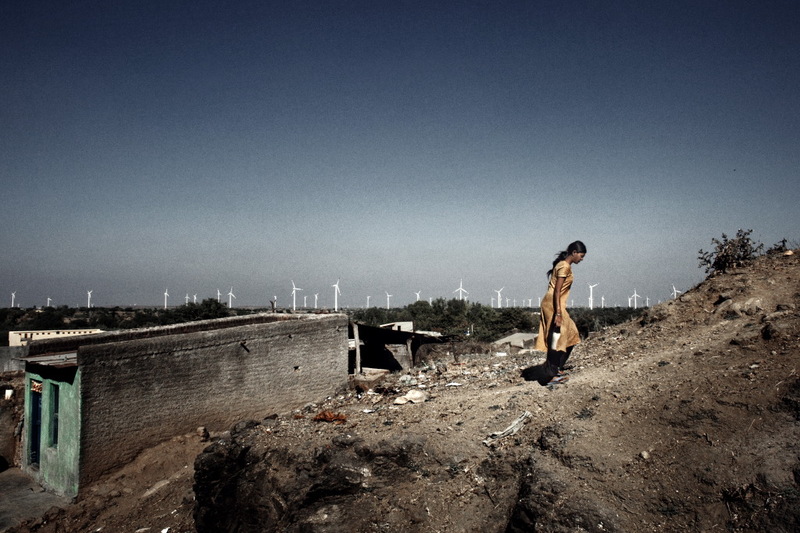 Hundreds of families living in this industrial district have found work in the Suzlon wind farm, improving their quality of life. 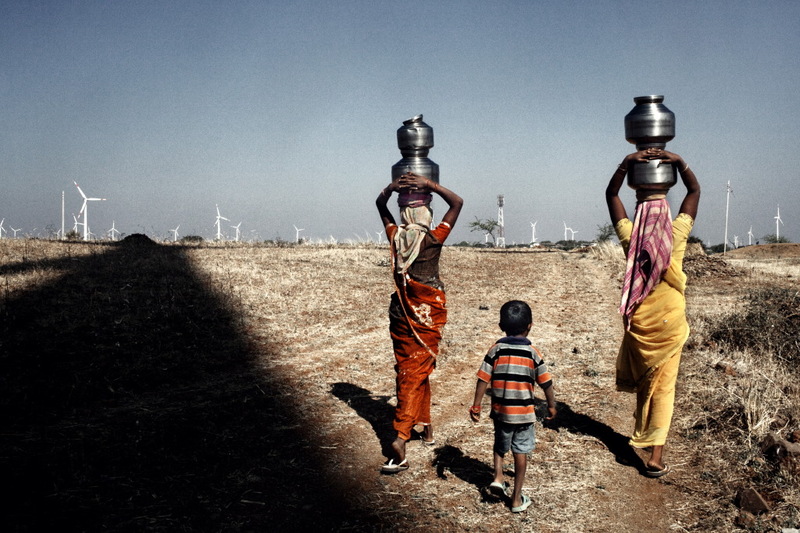 Wind farm, village of Dhule, Maharashtra District, India. 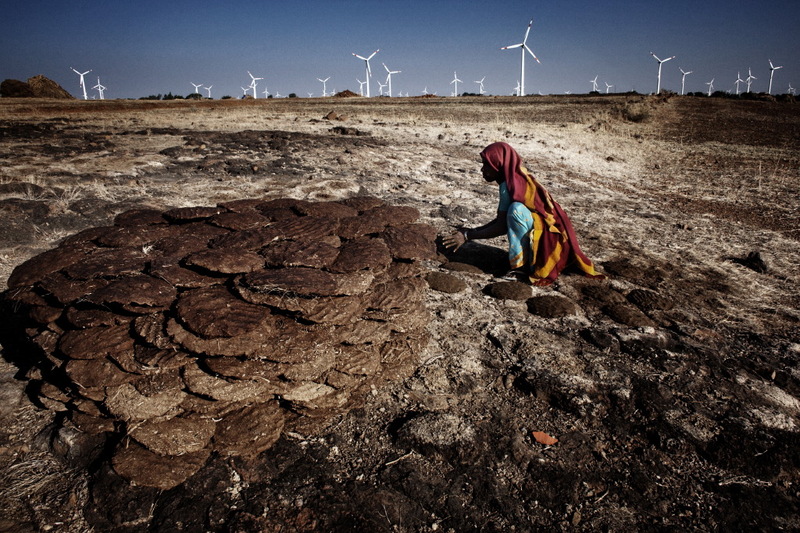 A woman collects dung, inside the wind farm, to be used as natural fuel. Wind farm, village of Dhule, Maharashtra District, India. A woman is heading back to her home. Wind farm, village of Dhule, Maharashtra District, India. 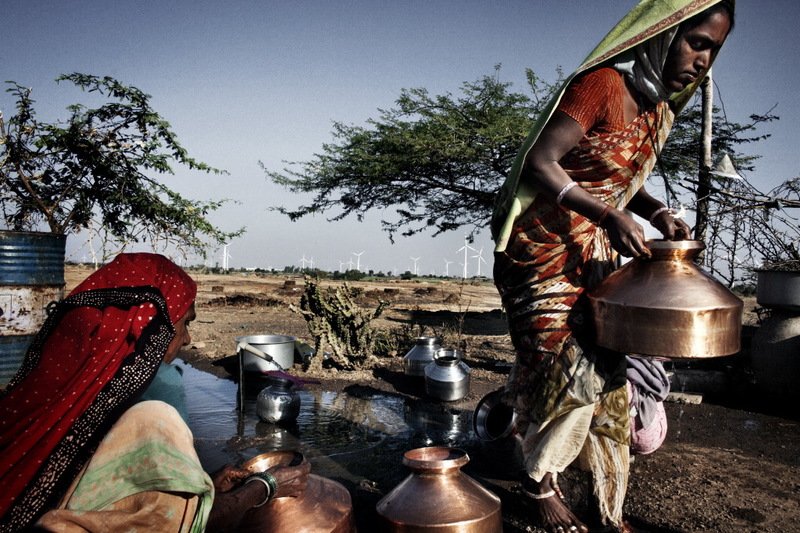 A woman collects water with buckets near the wind farm of Dhule. Wind farm, village of Dhule, Maharashtra District, India. A farmer with his cow while plowing the land at the Dhule wind farm, which has an area of 50 km2 with 650 rotor blades. Each rotor blade produces 1.25 MW of electricity per hour, enough to supply electrical power to 400 houses. Wind farm, village of Dhule, Maharashtra District, India. Grazing buffalos near the wind farm of Dhule. Wind farm, village of Dhule, Maharashtra District, India. 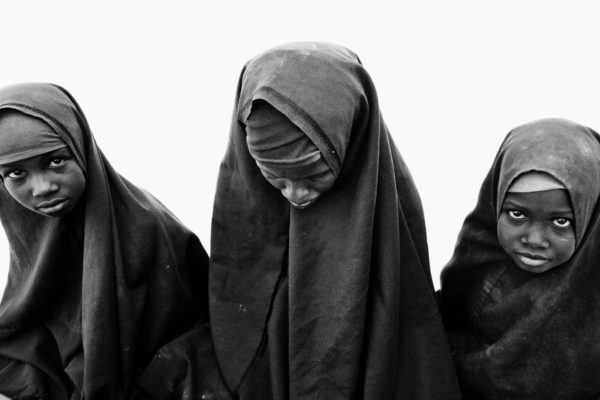 Women as they collect water. Wind farm, village of Dhule, Maharashtra District, India. Workers in the Suzlon wind factory. 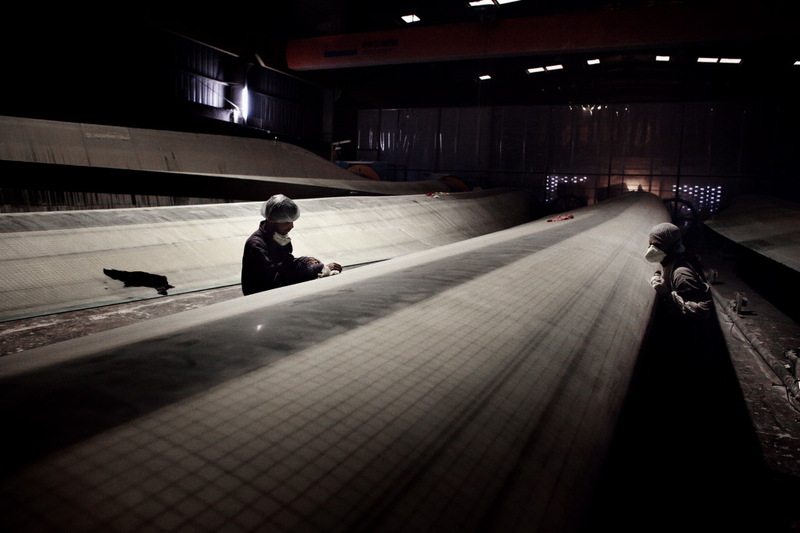 The plant produces 7 blades every day that are exported all over the world. Wind farm, village of Dhule, Maharashtra District, India. 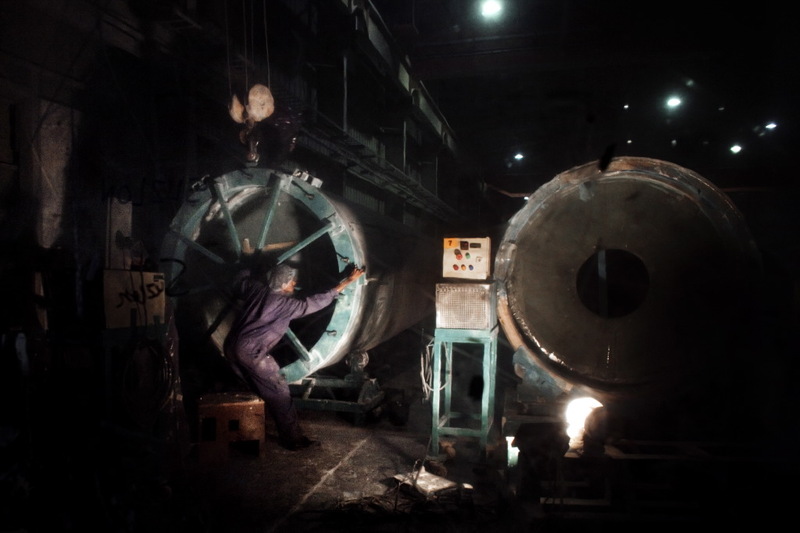 Workers in the Suzlon wind factory. The plant generates sufficient clean electricity to avoid the production of approximately 70.000 tons of carbon dioxide each year. Wind farm, village of Dhule, Maharashtra District, India. 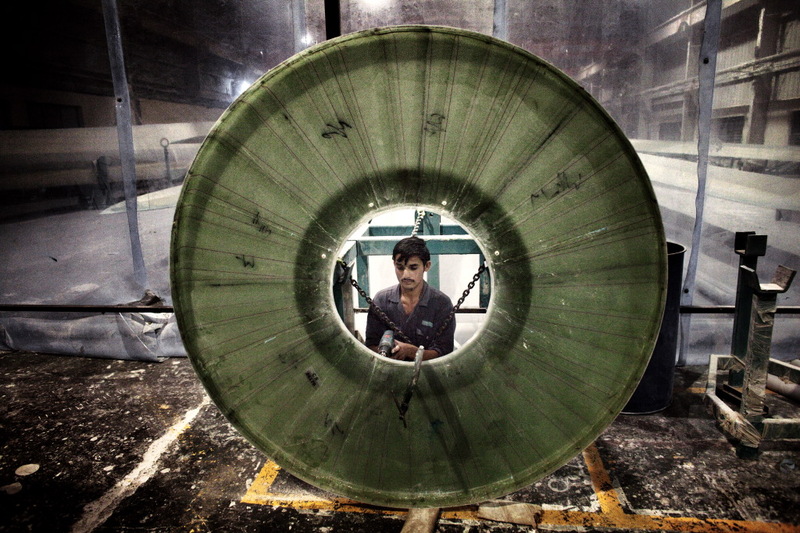 Assembly of a rotor blade in the Suzlon wind factory. 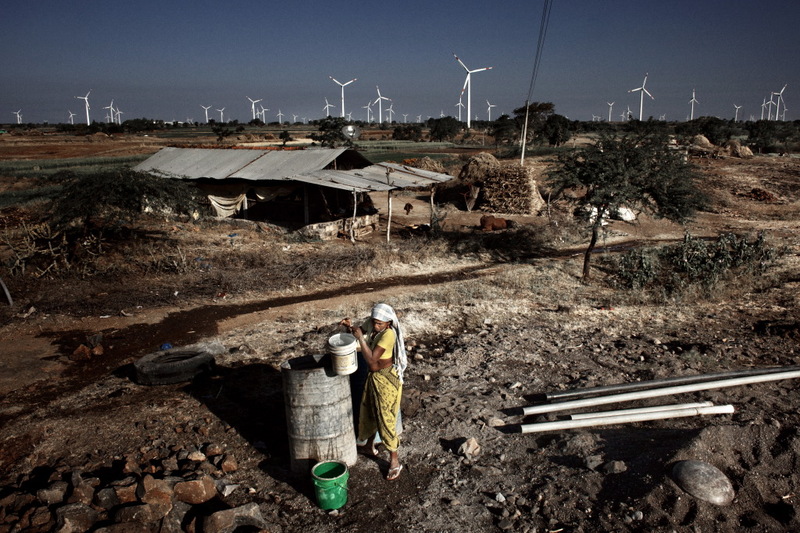 India has the fifth largest wind energy capacity in the world. Wind farm, village of Dhule, Maharashtra District, India. Machinery and human skills, inside of the Suzlon wind farm. Wind farm, village of Dhule, Maharashtra District, India. 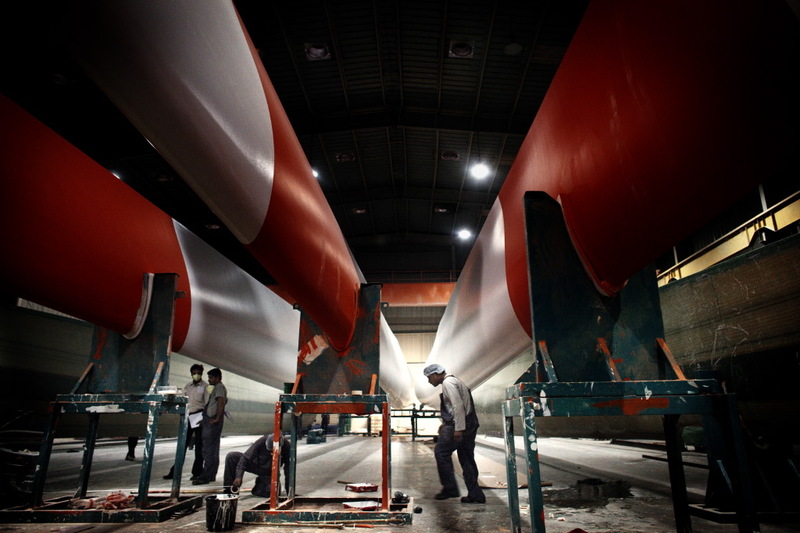 Assembly and polishing of wind blades inside the Suzlon factory. Wind energy does not consume fuel and does not emit any air pollution, unlike fossil fuel sources. Wind farm, village of Dhule, Maharashtra District, India. Parts of wind blades. Hundreds of people who live in this industrial district, have found a job, improving the quality of their life.